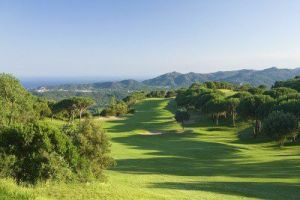 Located between the villages of Pals and Torroella de Montgrí and just at 2 kilometres of the Mediterranean coast, Serres de Pals forms with the Golf de Pals and the Empordà Golf Club the Golf Gold Triangle of the Costa Brava. An absolutely accessible golf course to practice this sport. 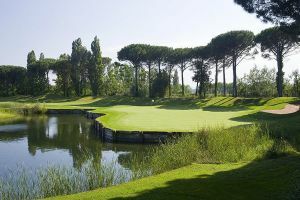 The course, designed by Ramón Espinosa, has three different areas with smooth hills, pine woods and lanes among lakes. Surrounded by marvelous landscapes from the Baix Empordà, this 18 holes course, par 72 and 6.263 metres of length, joints the best conditions to play golf and to enjoy the mild Mediterranean weather. Golf Serres de Pals welcomes expert golf players and people who want to improve their technique and those who want to start playing golf. People who want to taste the gastronomic offer will be also welcoming to the relaxing atmosphere of the restaurant. 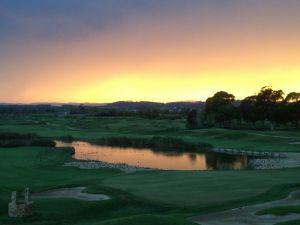 Golf Serres de Pals, a course integrated into its surroundings and conserving ancient landscapes, collaborator with Audubon and Committed to Green, forms along with Golf Platja de Pals part of La Costa Golf & Beach Resort. Inaugurated in July 2000, it combines three different scenarios in a single 18-hole PAR 72. Lakes werlands that are home to a broad natural diversity, put players` skills to test. This combination of situations allows players of all levels, from novice to expert, to enjoy themselves. 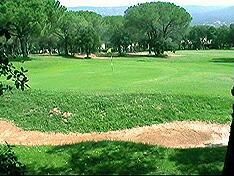 Golf Serres de Pals - BOSQUE is not yet in our pool of Golf Courses for orders.